Ladonna (Taylor) Weisbach was born August 18, 1962 in Harrisonville, Missouri and passed away November 10, 2018 at St. Mary’s Manor in Blue Springs, Missouri, surrounded by the love of her family and friends, after a hard fought and courageous battle with cancer, at the age of 56 years, 2 months and 23 days. She was the daughter of Hugh Markham Taylor, Jr. and Donna Faye (Shackelton) Taylor. Ladonna grew up in Pleasant Hill and was a 1981 graduate of Pleasant Hill High School. Ladonna remained in Pleasant Hill until 1991, then lived in both Shawnee and Wyandotte County Kansas, Sterling, Illinois and Oak Grove, Missouri before moving back to Pleasant Hill in 2015 to make her home. Ladonna had worked as a CNA and Receptionist at St. Mary’s Manor in Blue Springs, Missouri. Her devotion and kindness made her a favorite among the residents and her co-workers. Ladonna was a caring and loving mother, grandmother, and sister, whose life revolved around her family. 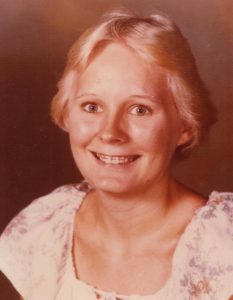 Ladonna was preceded in death by her parents, Hugh and Donna Taylor. She is survived by one son, Brandon L. Weisbach and wife Kristina of Overland Park, Kansas; two daughters, Amber M. Taylor of Pleasant Hill, Missouri and Lisa Weisbach of Blue Springs, Missouri; one brother, Mark Taylor of Knappa, Oregon; three sisters, Dicksie L. Harris and husband Glenn of Holden, Missouri, Linda S. Oldberg of Lee’s Summit, Missouri and Cindy Harris and husband Greg of Independence, Missouri; three grandchildren, Michelle, Conner and Taylor Uselton, other relatives and many, many friends. Funeral Service for Ladonna (Taylor) Weisbach will be held at 2:00 p.m. Saturday, November 17, 2018 at the Wallace Funeral Home in Pleasant Hill, Missouri, with Chaplain Lori Hilbrich of St. Mary’s Manor, officiating. The family of Ladonna (Taylor) Weisbach will receive friends from 1:00 p.m. until service time at 2:00 p.m. at the funeral home. Cremation will be accorded after services. Sorry to hear of Ladonna’s passing. I remember her from high school. She was a very sweet lady. Your family is in my thoughts and prayers. My thoughts and prayers are with you. She always made me smile. What a true angel on earth. I’m saddened to hear of her passing. I worked with her at Kemper and loved talking and laughing with her.